Jay Clayton, the Securities Exchange Commission’s (SEC) Chairman, declared in a speech on March 8 that the SEC would shortly embark on a review of the U.S. equity market’s structure, focusing in particular on illiquid securities, retail fraud and access to market data. In terms of market data, Clayton acknowledged that aspects of Regulation National Market System (Reg NMS), which has not been updated since its adoption in 2005, may now need updating to account for a multiplicity of market developments. Specifically, the SEC will examine whether the rules governing consolidated public datafeeds (so-called “core data”) need to be modified to better serve the needs of investors who cannot pay for faster, more “content rich” proprietary data feeds and access services. Clayton also said that the SEC would examine sales practices in the penny stock markets with a specific focus on the incidence of fraud associated with illiquid stocks, particularly in the OTC trading space. In a speech delivered on March 18 at an Investment Company Institute Conference, Dalia Blass, Director of the SEC’s Division of Investment Management, announced that the SEC would commence a review of competition within the investment management sector following a recent spate of mergers and acquisitions. The review will focus on the impact these deals are having on smaller market participants and investors. Blass said that while investors may benefit from more competition and lower fees, "the same trend may mean that investors end up with less access to small and midsize advisers," noting that "reliance on service providers may reduce the diversity of perspectives in the market and create shared vulnerabilities." The review will commence with an outreach initiative to discover more about regulatory barriers facing SME fund sponsors before the full review commences. Blass also announced that the Division would seek to update marketing and solicitation rules for investment advisers and consider updating proxy adviser guidance, with the introduction of any new rules aligned to coincide with “the end of proxy season this year." Finally, the Division will continue to work on Form CRS (Customer Relationship Summary) related recommendations and the fiduciary duty interpretation proposed as part of Reg Best Interest. On February 26, the Council of the EU announced that it had reached a political agreement with the European Parliament on the proposed Investment Firms Regulation (IFR) and Investment Firms Directive (IFD). The principal purpose of the new rules is to apply a more flexible prudential regime to SMEs compared with the existing one-size-fits-all approach. The package of measures includes strengthening of MIFID II rules on the equivalence regime applying to third country investment firms. Specifically, the new rules will empower the European Commission (EC) to assess capital requirements applicable to third country investment firms providing bank-like services to make sure that they are equivalent to those applicable in the EU. The EC will also be empowered to impose specific operational conditions to an Equivalence Decision to ensure that ESMA and National Competent Authorities have the necessary tools to prevent regulatory arbitrage and effectively monitor the activities of third country firms. Finally, the package of measures also includes enhanced transparency requirements for investment firms on their investments and their voting behavior at shareholder meetings. On March 20, Delegated Regulation 2019/442 was finally published in the EU’s Official Journal. It enters into force on April 9. The new Regulation modifies Article 10 of MIFID II’s Level II RTS 1 Regulation, the effect of which is to make the MIFID II minimum price increments "tick size" regime apply to systematic internalizers (SIS). Since smaller tick sizes can give a price advantage, it was argued that the existing arrangements gave a structural bias to SIs and OTC trading over exchange trading. The Recitals in the new regulation also cite concerns over the impact on liquidity, valuation and price formation that smaller price increments can engender to justify the introduction of the rule. The regulation also contains several minor changes including the express disapplication of securities financing transactions to the MIFIR transparency regime. 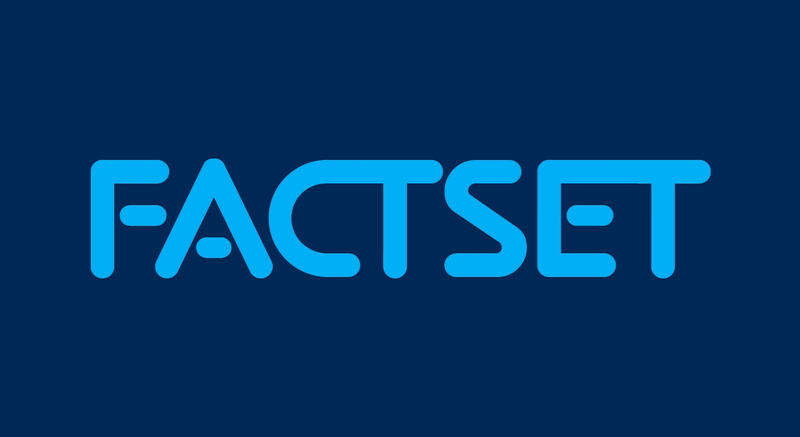 On March 20, Delegated Regulation 2019/443 was published in the EU’s Official Journal, amending the MIFID II tick size regime in RTS 11. The new Regulation permits National Competent Authorities (NCAs) to include liquidity outside of the EU when calibrating tick sizes where the largest volume of trading in a given instrument occurs on a venue outside the EU. The change was deemed necessary ahead of Brexit to protect the EU’s governance over, and market share of transactions in EU listed securities and to level the playing field between the EU and third countries that see larger trading volumes than the EU in certain EU stocks; most notably Switzerland. The rule will also allow NCAs to provide more accurate and competitive tick sizes. The regulation enters into force on April 9. While the measure itself is uncontroversial, it is yet another example of the EU taking prompt and robust steps to protect its markets and interests more broadly. On March 22, seven Securities Financing Transactions Regulation (SFTR) Delegated Regulations and three Implementing Regulations were published in the EU Official Journal including the long-awaited Implementing Regulation on SFTR transaction reporting. The Regulation officially starts the clock for firms to establish the necessary arrangements to commence reporting under the regulation. Banks and financial institutions have until April 11, 2020 before reporting commences and funds and insurance and reinsurance firms having until October 11, 2020. The reporting rules have a degree of extraterritorial effect, and fines for non-compliance can be as much as 10% of a firm’s annual turnover. The Annexes to the Implementing Regulation contain 267 data reporting fields. Reporting is to a trade repository and is on a T+1 basis. Reporting applies to all concluded transactions as well as terminations and modifications of existing transactions. The reporting format is consistent with reporting of derivatives under the European Market Infrastructure Regulation, creating a degree of consistency which should facilitate smooth implementation. However, responses to ESMA’s Consultation Paper on the transaction reporting rules back in 2017 suggested that the requirements may nevertheless present significant technical and operational challenges for firms given the number and nature of the fields and the type of transactions they apply to. Fortunately, the SFTR permits delegated reporting, which should ease the burden for some market participants, albeit at a cost. Some respondents to the transaction reporting Consultation Paper also predicted that the rules could change the structure of the market and have serious consequences for availability of collateral which could have knock on effects in other markets, including and in particular derivatives markets. On March 19, ESMA published a statement on the application of the MIFID II trading obligation in the event of a no-deal Brexit (and in the absence of an Equivalence Decision for the UK), confirming that firms must execute any transactions in shares traded on an EU trading venue, either on an EU trading venue or with a relevant systematic internalizer (or third-country trading venue assessed as equivalent), including shares of firms incorporated in the UK (with GB ISINs) where these companies’ shares had sufficient liquidity in the EU. This means EU banks, funds, and asset managers will not be able to trade GB (or EU ISIN) shares in the UK, even where the UK is the home listing of the company. This conflicts with the UK’s own equivalent trading obligation, which requires those same UK listed securities to be traded on the same basis, but on UK venues. The FCA promptly responded with its own statement on the same day declaring that ESMA’s stated approach would give rise to conflicts of laws, uncertainty and liquidity fragmentation and suggested that the EU should co-operate on such matters, with the subtext firmly indicating that such an approach was both preferable and more civil than unilaterally declaring jurisdiction and rights over securities issued from and governed by another jurisdiction. ESMA set out a list of 6200 securities including 14 U.K. based stocks, for which it deemed there was sufficient liquidity in the EU to trigger the share trading obligation rules. ESMA claimed it would revisit the ruling in 12 months. The European Parliament has recently published several documents related to ESG (Environment, Sustainability and Governance) and sustainability. On March 11, the European Parliament ECON and ENVI Committees adopted amendments to a proposal setting out uniform criteria for determining whether economic activity is environmentally sustainable. On March 13, the Parliament then published a Legislation in Progress Briefing, providing a summary of the proposed regulation on disclosures related to sustainable finance. The UK Government has since indicated that it would add the regulation into its package of on-shored EU financial regulations. Then on March 14, the European Parliament Committee ECON and ENVI Committees published a joint report on the establishment of a framework to facilitate sustainable investment. Meanwhile on March 27, ESMA issued a press release announcing the publication of its annual report on the enforcement and regulatory activities of accounting enforcers within the European Union (EU) noting that "During 2018, European enforcers expanded for the first time their supervisory activities to non-financial information on environmental, social and governance (ESG) matters, published by issuers in accordance with new requirements which came into force at European level." Collectively, the announcements ramp up the trend in, growth of and important attached to ESG considerations in the EU regulatory arena. These measures are the end of the beginning of what is expected to be an ongoing theme for many years to come. On March 19, the FCA announced it had fined UBS £27.6 million for reporting failures related to 135.8 million transactions between 2007 and 2017. The following week on March 28, the FCA fined Goldman Sachs £34.3 million for the same reason for failings over broadly the same period, this time in relation to 220 million transactions. In relation to each penalty, the FCA found fault with the firms’ change management processes, their maintenance of counterparty reference data and their testing for accuracy and completeness of submitted reports. In each case, the FCA also discounted the fines by 30% because of the firms’ co-operation with the investigations. Had they not been co-operative, the fines would have been around £40 million and £50 million respectively. The cases serve as a stark warning and a timely reminder to firms to ensure they have proper systems and controls and testing in place for their transaction reporting under MIFID II as well as EMIR and the upcoming SFTR. In a final report on the Investments Platforms Market, the FCA has announced a package of proposed rules to make it less expensive and time-consuming for investors to move between investment platforms, including a proposal to ban or cap exit fees. The restriction on exit fees would apply to platforms and to firms offering a comparable service to retail clients. The FCA will now consult on these rules, which include measures permitting consumers to switch platforms whilst remaining in the same fund, without having to sell their investments. In its press release, the FCA stated that, "The FCA has welcomed the progress industry is making to improve the switching process, most recently through their STAR initiative…The FCA is encouraging firms not already involved in this initiative to consider taking part as a way of improving the switching process and achieving better outcomes for consumers. The FCA will review progress made by the industry to improve the switching process later this year, and again in 2020, if needed. The FCA will consider taking forward further regulatory action if the efficiency of the switching process does not improve." The FCA consultation on new rules for switching, and feedback on the questions regarding exit fees runs until June 14. The FCA may then consult on final rules for exit fees. Following a review, the FCA has announced a permanent ban on the selling, marketing and distributing of binary options to retail consumers, essentially mirroring the temporary ban in the EU in relation to the same products but extending it to cover "securitized binary options". By introducing the ban, the new rules also seek to address the poor conduct of firms selling them as well as fraudulent unauthorized firms that have been claiming to offer them; conduct which has collectively led to significant consumer losses in the UK and internationally. In the announcement of the new rules, Christopher Woolard, Executive Director of Strategy & Competition at the FCA, stated, "Binary options are gambling products dressed up as financial instruments. By confirming our ban today we are ensuring that investors don’t lose money from an inherently flawed product." 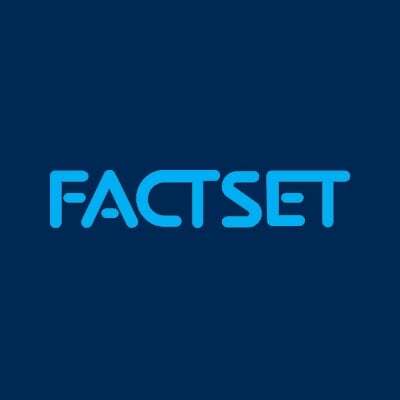 Barrie joined FactSet in 2017 and is based in London.